Happy Birthday Emma and Bubba! It took me a while to upload these photos so I am sure this will be a long post. Have a seat haha. Over the weekend Jude and I went to my moms house for a double birthday party. My twin sister Christina’s two kids, Emily and Mikey, turned a year older and we couldn’t wait to celebrate. My sister goes all out when she has a party. This party was last minute and was put together in two days. I was so surprised! Sleeping Beauty and Spiderman was there to entertain the children. Birthday girl Emily aka Emma was dressed just like her favorite princess. I don’t know why but I thought the characters that go to parties just stand there and take pictures. This entertainer (the princess) busted out a huge parachute that I remembered from elementary school! I was so excited for them haha. Not only did she come ready for games, she also painted faces! There were about 20 kids waiting to get painted. Flowers, rainbows, butterflies, hearts, stars, and glitter faces all of the yard. I was checking out her makeup? MAC? Haha just kidding. The backyard is huge so there was even a bounce house. Jude loved bouncing around with all of his cousins. He was calling my name to make sure that I saw how high he was jumping it was so cute. OMG the sweets were endless…these cupcakes were so yummy. As soon as the top came off of these babies they were gone! They were chocolate with fudge in the middle, and cream cheese icing on the top. Wouldn’t be a party with out themed cakes! Jude and his daddy sharing lunch. 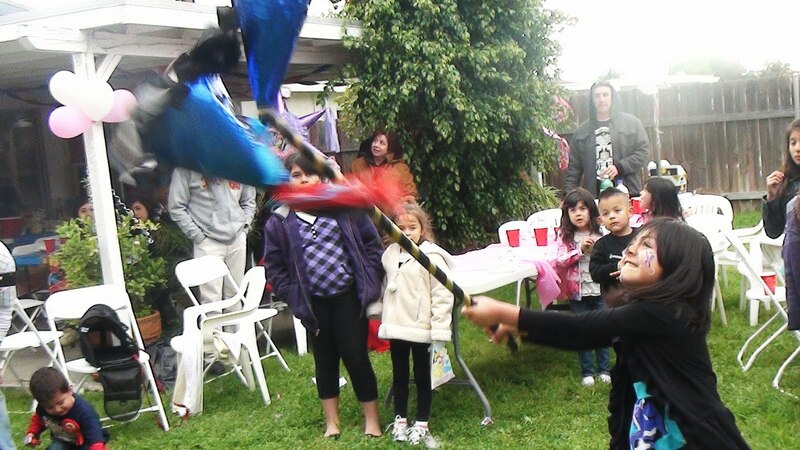 Time to hit the Pinata! Birthday boy Mikey was up first…he did so well. 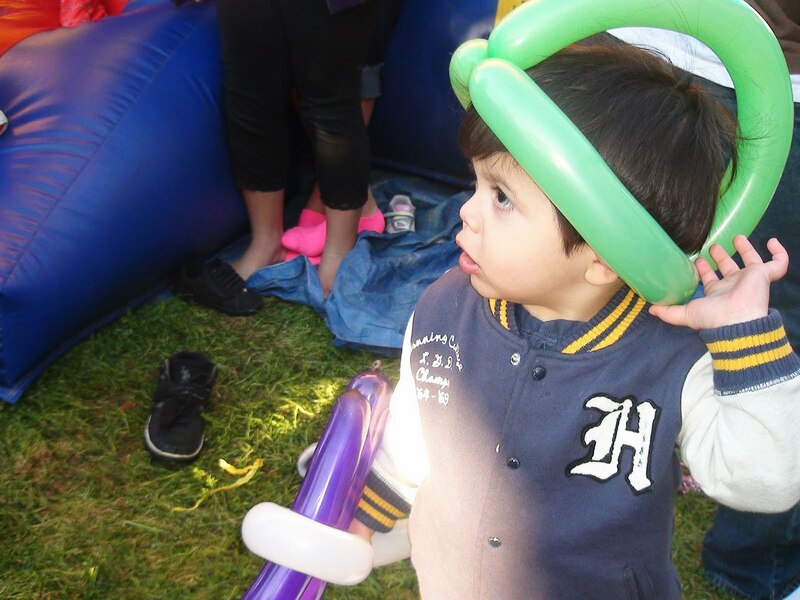 The following pictures were all out of order but there were 4 different pinatas for the kids to share. Spiderman arrived and shocked all the kids. He was so funny. He was flippin around on the floor and also made balloon animals for the kids. Jude with my youngest sister, Marina, and his balloon sword lol. Jude got a balloon gun and hat too. 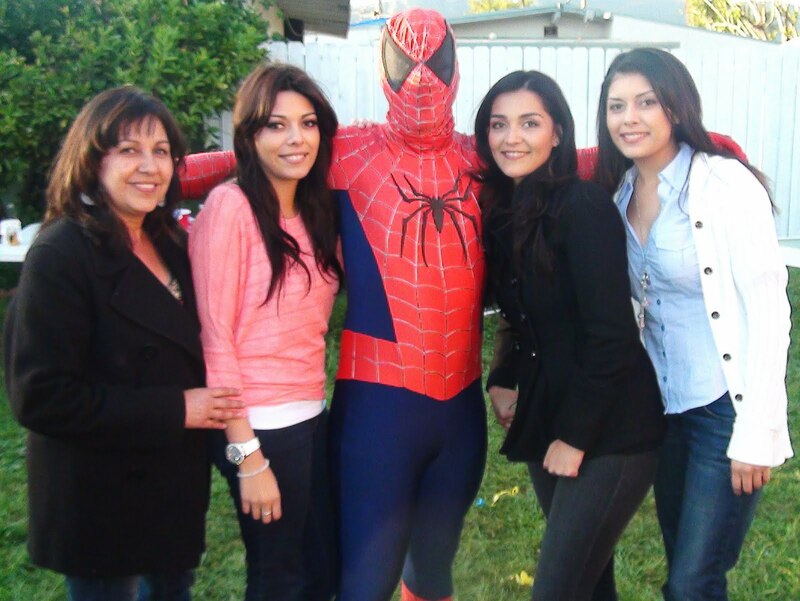 My mom, Me, Spiderman, my twin Christina, and younger sister Marina. I know that I have not been posting as much as I used to, but I am trying to get used to the new schedule we have here at my new place. I hope you enjoyed this personal post. ← Downtown L.A. – "Shopping"
Omg what fun!! 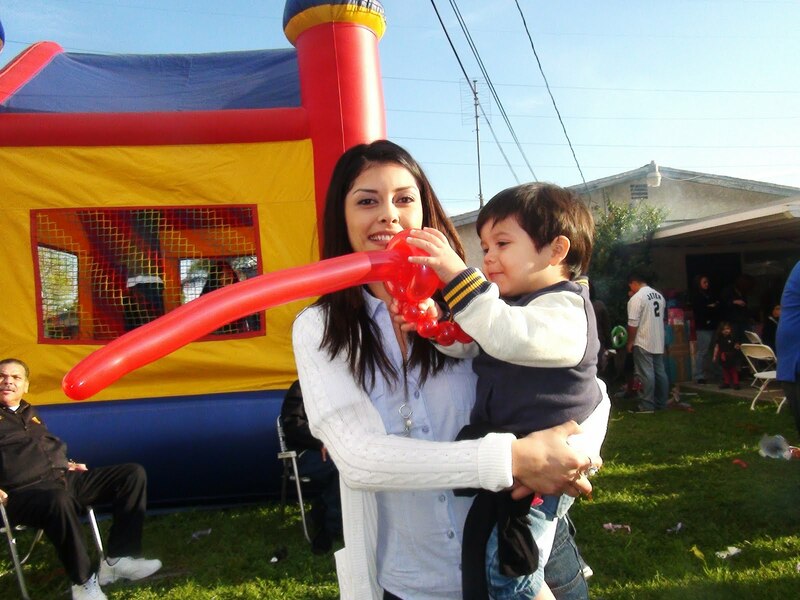 Looks like you guys had a great time =) You and your sister Marina look just alike. You have such a beautiful family. <3 Your blog! your younger sister looks more like you than your twin. I'm so jealous, I wish I had a birthday party like that. hello, your young siter looks a lot like you! more than your twin sister! I love your videos and blogs! you and marina look so alike! Wow, so cute! My 5 year old would pee his pants if Spiderman showed up at his party, I will have to consider that next year! You're family is beautiful, you and your younger sister should be twins! You and your younger sister look so much alike.All in all the females in your family have it goin on Sonia.Estan muy chulas todas especially your Mom.Spiderman must have felt like a lucky man taking pictures with all you beautiful ladies. dang ur youngest sister looks alot more like u than ur twin does! lol its ok ya'll are sister no matter what!